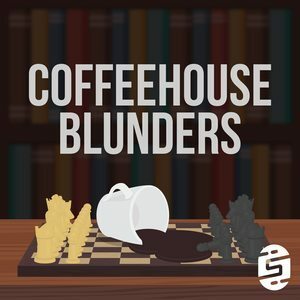 Join Daniel "Danny" Rensch and James "Motz" Montemagno each week on Coffeehouse Blunders as they discuss the latest in chess, coffee, tech, and anything else happening in their wonderful lives and around the world. 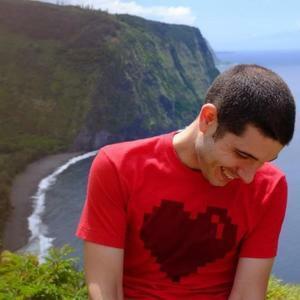 Danny's life as an International Chess Master collides with Motz's mobile development and public speaking background for absolutely adorable and astonishing conversation. It is all chess all the time on Blunders this week! Norway chess just wrapped up and we have the full breakdown of all the awesome that occurred. Additionally, we break down our actual thoughts on Solo: A Star Wars Story even though we haven't seen it yet. Motz is off traveling again, but leads to some interesting discussion about Danny's Russian past, wanted to speak new languages, and how Motz is slowly falling in love with Spain. We also discuss the "International Chess Language" and how chess players are catering to different audiences online. We did it!!! Finally a spoiler free #Blunders, but with plenty of Deadpool 2! Then it is our own story telling time as Motz has hurt his back yet again and Danny remembers his adventures in Russia from time passed. Danny plans a date night for his wife and Ryan Reynolds while staying completely off the grid. Motz is on the hunt for the ultimate blender to make the perfect smoothie and worlds collide on Ninja madness. It is time for some Whiskey and some inter-galactic FIDE discussion as the election for the next FIDE president heats up. Danny and Motz give their thoughts on Solo: A Star Wars Story's record breaking pre-sale numbers. In addition to this they also share some lovely coffee stories. It is a new week, which means there is a new Marvel movie out. We try to not talk too many spoilers while still giving our full impressions. Motz talks about his biggest movie blunders and Danny tries to convince himself he isn't in a real estate pyramid scheme. Motz is back from his adventures in Spain and re-unites with Danny to talk about his latest coffee gadgets that hopefully solve Danny's problems he is having while at work. At the same time Danny missed Motzy so much that he can't hold back his excitement, but is making tough decisions in the world of chess. While Motz is away, Danny chats coffee, blunders, and tech with... John Urschel. That is correct, the legendary mathematician and former NFL player John Urschel fills in for Motz on this amazing Blunders episode to talk the U.S. Chess Championships, Amateur Hour, and the Adoption of Hansen. Danny is back from hosting the epic conclusion to this year's Pro Chess League and dishes out all the details. Motz has plenty of input on chess, coffee, but also Zuckerberg's 4.5 hour long senate hearing! We discuss all this and more. That is right 50 episodes! We did it!!!! We reflect on the last year, what brought us to this point, and why we love each other so much. Motz breaks down Ready Player One with his full review, Danny is heading off to the Pro Chess League, and family stuff happens again! Motz and Danny chat about Apple's new initiative to get the iPad into more schools, we break down the Pro Chess League and praise the hometown hero Caruana as he heads to take on our boy Carl! It has been a week and Motz has watched Actual Cannibal Shia Labeouf about 100 times, the Candidates tournament is in full swing, and the Pro Chess League is getting ready to enter the finals. We break down all of this and more. The candidates tournament has officially kicked off and Danny gives his full impressions. We sidetrack to talk about Ikea trips, Hamilton, coffee drinking, and our love for Shia LaBeouf. That is right! Motz finally sat down and watched Get Out! 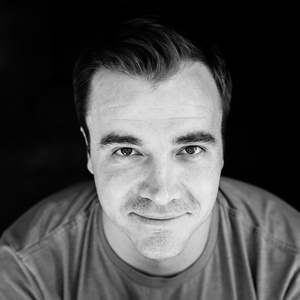 Danny is heading off to Costa Rica and we sip our buttery smooth cups of coffee. Motz makes the world's most expensive key lime pie, Danny recalls a thanksgiving to remember, we reflect on the new Mario movie, and Danny breaks down his thoughts on Black Panther.